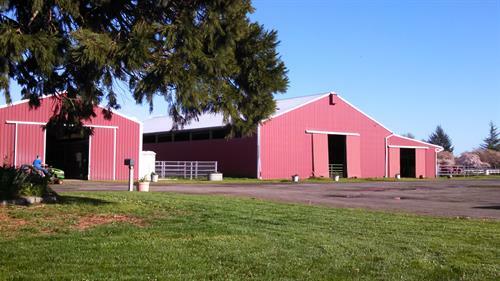 At home in the beautiful Willamette Valley, Herrold Stables & Farm offers an exquisite view of the west hills. As an owner occupied business for over 15 years, we offer a peaceful riding experience. We offer full care for your equine partner. 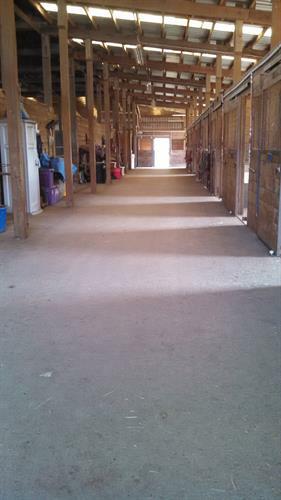 Horses are fed 3 x daily high quality grass hay we have grown and harvested our selves at peak of perfection.Our premier facility boasts of both a 100 x 200 outdoor all weather, and a 60 x 120 indoor arena. Riders also have access to a well maintained 60’ sand round pen. 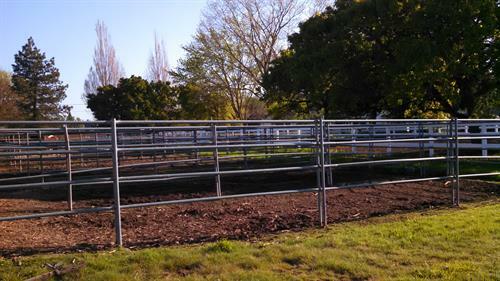 We also offer daily green pasture turnout for your special equine. 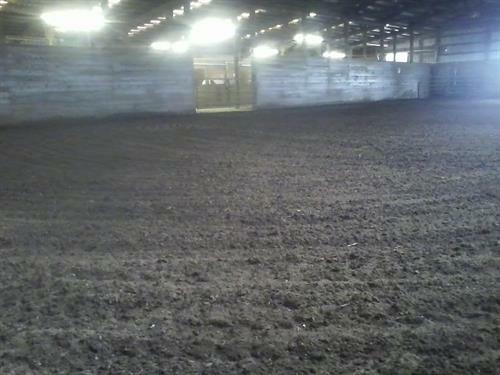 Each private stall includes an attached 12 x 42' paddock. Clients are also welcome to enjoy a lovely trail ride at our facility. We specialize in serving the needs of the adult hobby enthusiast, and enjoy a drama free environment! Our Natural Horsemanship background, and over 30 years of equine experience enables us to offer professional training for both horse & rider. Our facility and training program is open to all riding disciplines. 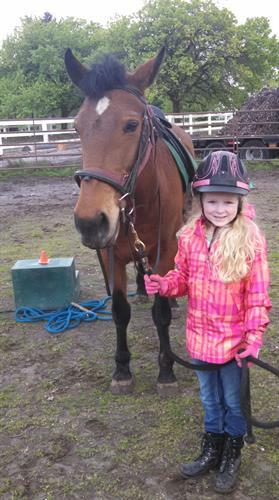 We encourage correct balance, rhythm, and control to instill confidence while on horseback. Our trainers focus on trust to create oneness between horse and human, both on the ground and mounted. 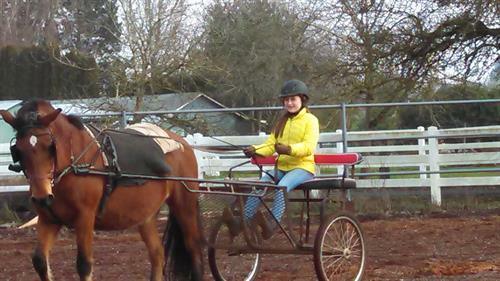 Our experienced, well mannered safe schooling horses have expanded our business to include horse parties, leasing, harness driving, and several horse camps through out the year. No matter if it is an office party or child's birthday event, we have the horse for you! Come visit for the day or relax all year! Call today for an appointment to view this calming facility.